Quite an overdue Lately post! #1. Bought a new white table from Ikea and started snapping away. White is my world, my world is white. #2. I was advised to not take too much cakes and pastries by my doctor so I took oats instead. Not too bad of a choice with the addition of berries! #3. Gotten this treasure for my sister from Bugis last month. It was a really good bargain! #4. My brother is a little crazy when it comes to collection. He also has some mega versions that speak and sing! #5. My sister taught me this simple recipe and I was excited to try out. Happy toast for happy eater! #6. 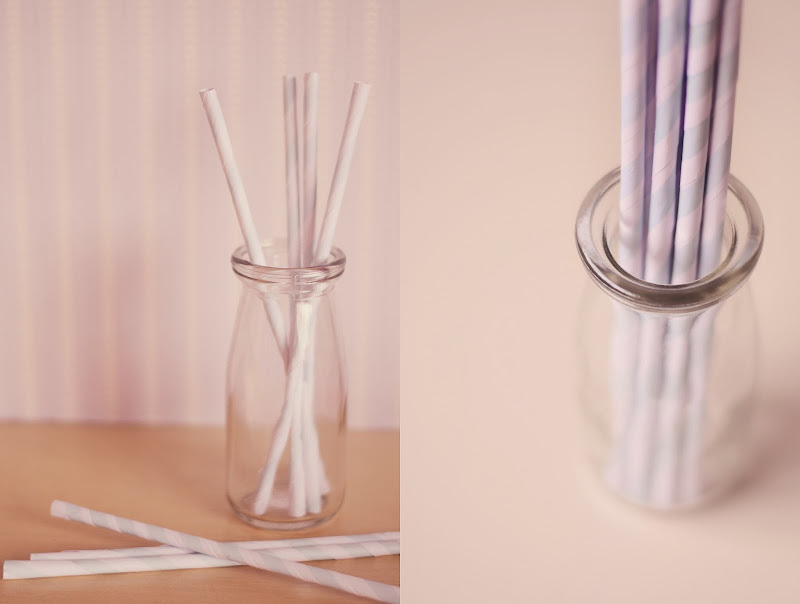 DIY paper straws to fill the glass bottle. The color's a little too light I must say! #7. Received this from a friend from Australia. It will play a good role when I get back to the UK. #8. Also had this cute bracelet from a friend that traveled around Eastern Europe. The watch's a little gift from my boy! #9. Cafe hopping with my favorite guy in Mr & Ms Cafe. Good coffee, good morning, good talk, good mate. #10. Some sneakers from Sneaker-Boo. I officially own the CDG pair (top). So sweet! This entry was posted on Tuesday, 6 August 2013 and is filed under Lately. You can follow any responses to this entry through the RSS 2.0. You can leave a response. Seems like Mr and Mrs Cafe is really popular! and omg nice shoes! I suppose so! It's so crowded! 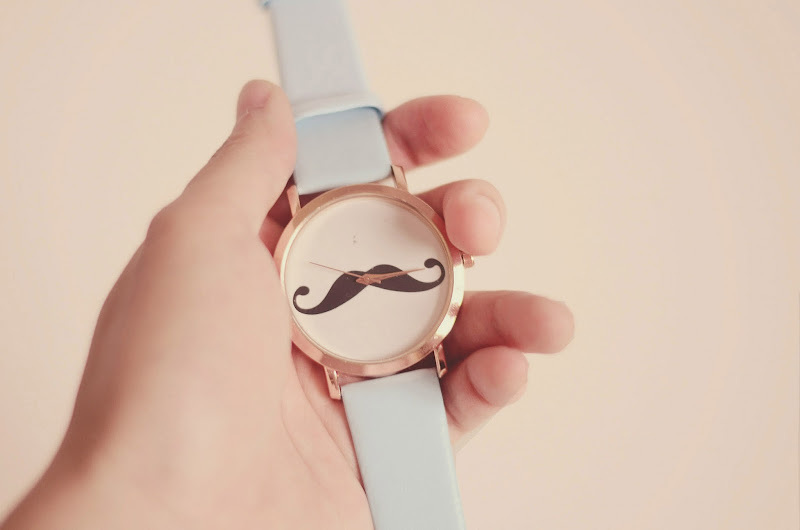 Really like the mustache watch!! I have no words with each and every one of your posts!! Great photos as always. I am so glad i finally got the time to update myself what is happening on your blog. Bad wi-fi during the summer made me miss a lot. seems like u have a good time in Australia. Looking forward to more pics. By the way my twin sons came home from London yesterday. Guess what they bought me?? A Harry Potter wand at the Harry Potter museum. Not all teenagers has a Harry Potter crazy mother. Then again i might not ever grow up. Yes i love photography, travelling, flowers, strawberrys, Ben & Jerry ice cream and Harry Potter. Looking forward to see more photos. 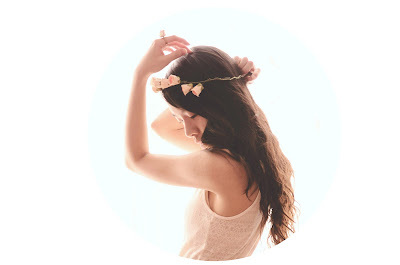 lovely photos as always:) btw how did you make the paper straws?